1. A plastic container (you can start with a 5-litre container) with holes drilled into its sides and bottom. Make sure the container is clean and dry. You can cut off the top of the container so you can put in waste more easily. Put the top back on after adding the waste. 2. Materials with carbon content, usually called "browns", such as dry leaves and sugarcane pulp. Cut into small pieces to allow micro-organisms to break them down more easily. 3. 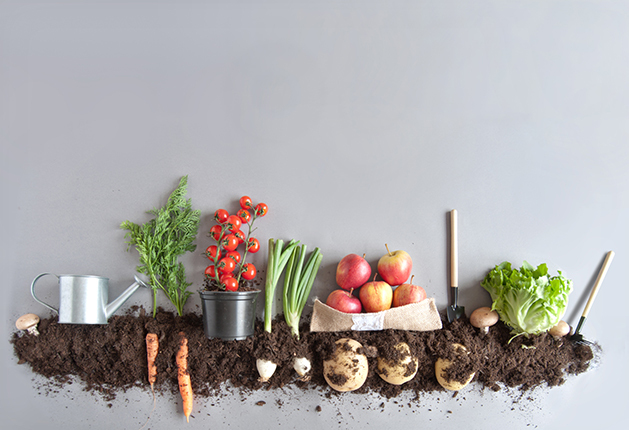 Materials which contain nitrogen, including nutrient-rich black soil, chicken manure and "greens" or raw food scraps such as fruit peels, discarded vegetable parts and soya bean dregs. Avoid oily and cooked food as well as sour-ish food such as lemon and lime. Cut them into small pieces. 1. Put a compact layer of about 3cm of dry leaves or grass at the bottom of the container. Compress the layer by pressing it down with your gloved hands or a tool. 2. Add the "browns". Before adding, however, make sure these are damp, but not so wet that water is dripping out of the holes at the bottom of the container. If they are too dry, soak them in water - for instance, water that has been used to wash rice - for about a minute. Compress the layer till it is about 3cm thick. 3. Cover with another compact layer - about 1cm thick - of nitrogen-rich materials or "greens". Compacting helps the heat to build up more easily. 4. Alternate between the layers until the container is about 80 per cent full. 5. Put a final layer of coffee grounds to absorb any unpleasant odour and cover the container with the lid. 6. Put a plastic bag over the container to keep the heat and moisture in. 7. After two weeks, pour the contents of the container onto a big plate and turn and aerate them with a spade. If the materials are too dry, add some rice water. If they are too wet, add some dry leaves. 8. Repeat once every week for the next three months. 9. The compost is done when you do not see any more food and other waste in it and it has turned dark brown, with a tinge of black. It should feel soft and spongy, and not sticky, and there should be no foul odour.